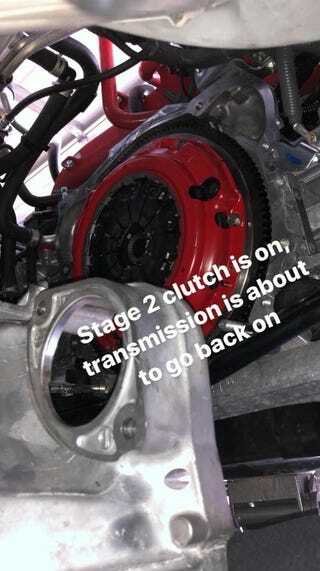 New clutch in the BRZ, ready for the turbo kit! It took 9 hours, but the Southbend Stage 2 clutch is into the car, with Motul trans/diff fluid. 1000 mile break in upcoming, JDL turbo kit should be delivered in Feb/March and then we’re gonna be boosted!